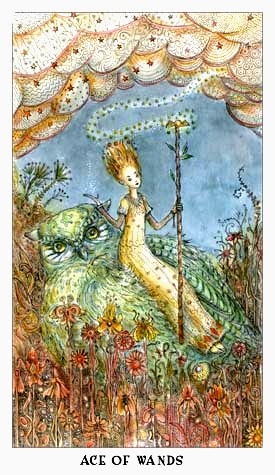 The Ace of Wands card suggests that my power today lies in initiation. I am a winner by virtue of my desire, belief, vision, and intention. I bring fresh inspiration into the world and am "master of my domain." My solution is found in creative transformation and I am empowered by my spark of life.